Gainesville- The number eleven ranked player in the nation according to Baseball America has decommited from South Carolina and chosen to attend the University of Florida. Hunter Ruth, from Buchholz High School in Gainesville, Florida has chosen to go to the hometown school. Ruth committed to South Carolina in September because he had no other offers. However, after improving his fastball velocity and his rising in the rankings, the Gators offer came and Ruth accepted. 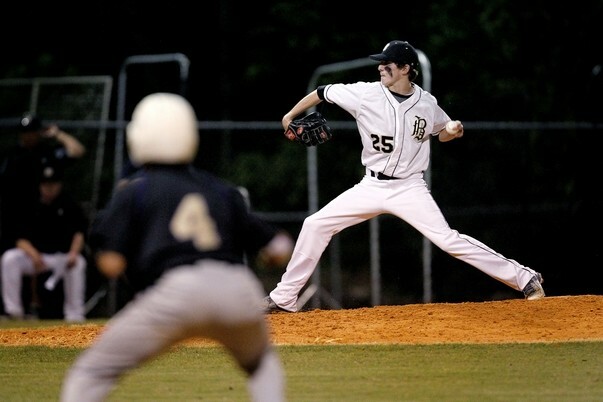 Ruth is a 6-2, 180 pound right handed pitcher, that will graduate from Buchholz in 2017, and could be an immediate impact for the Gators in 2018.